My toddler loves feeding the horses near our home, so I knew he would love meeting the shire horses at the Dyfed Shire Horse Farm in Pembrokeshire. This family run farm is located at the foot of the Preseli Mountains in Pembrokeshire. On a clear day it is possible to see Snowdon in North Wales, South West Ireland, Lundy Island and Exmoor in Devon from the top, and at the other side of the hills is Cardigan Bay. There is loads to do at the Dyfed Shire Horse Farm as well as meeting and learning more about these gentle giants. 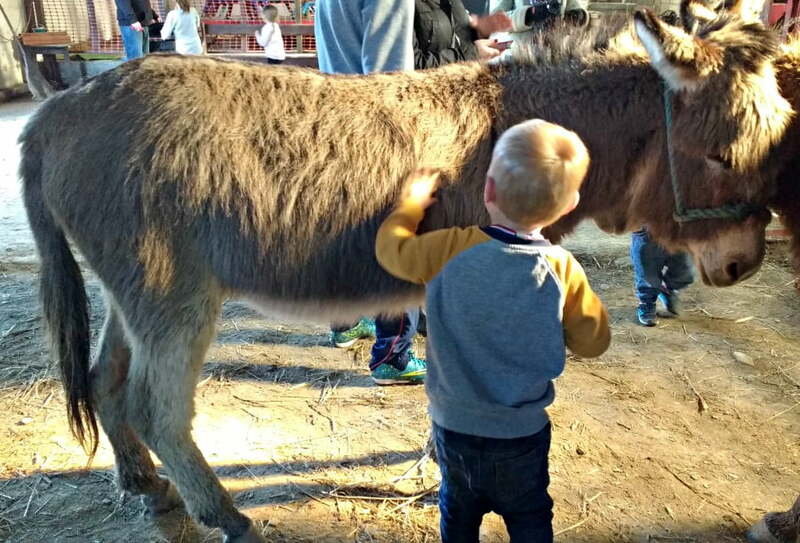 Take your pick from land train trailer rides, donkey grooming, tractor and trailer tours, horse and cart rides, quad bikes rides, mini golf, a playground and animal feeding. There is also an indoor soft play and a café and shop onsite. On selected days, there are ‘craft’ demonstrations taking place. We arrived just in time to see a lady demonstrating how to make butter the ‘old fashioned way’. The boys were really intrigued with this as it involved a lot of stirring, tipping butter from one bowl to another and then bashing it into shape – perfect for children who like getting stuck in! 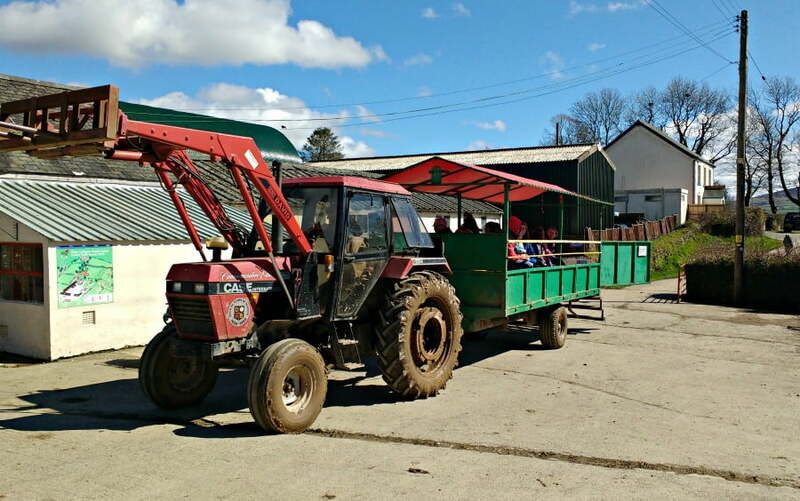 The Tractor and Trailer Ride around the farm gives you the opportunity to hear all about the fascinating history of the farm, and the Lewis family who have lived here since 1849. The boys loved being driven around by a tractor – and I loved learning more about the farm, its heritage and the animals which lived here. Mark, the commentator, is passionate about the farm and preserving his family history, and this comes through in all the stories he tells visitors. Of course the main draw of a Shire Horse Farm is the shire horses themselves. There are plenty of opportunities to meet the current residents; JR, Joe and Pansy amongst others, but also to learn about their famous past resident – the one and only Major Mercury. 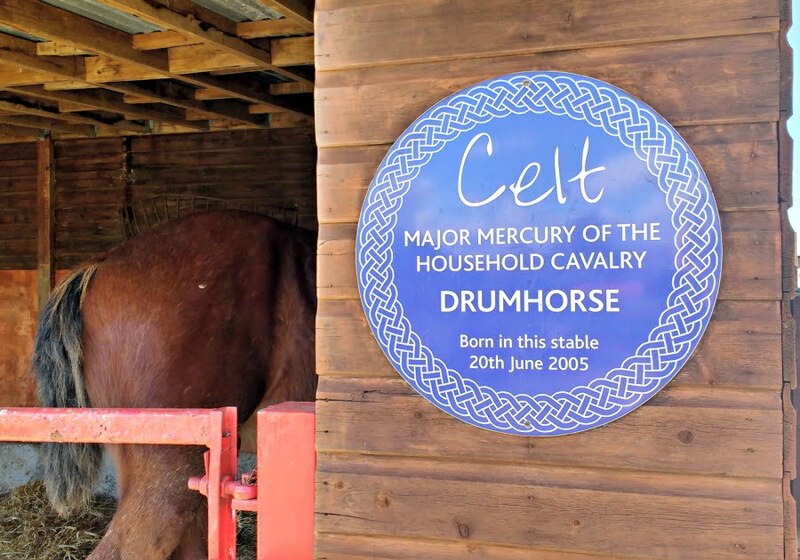 In 2005, a foal called Celt was born on the farm and 3 years later was accepted by the Queen’s Household Cavalry regiment to be Drum Horse and renamed Major Mercury – a very proud moment for the farm. You can meet Celt’s brother, JR, at the farm today. We were taken on a horse and cart ride by another beautiful shire horse called Joe, and afterwards the boys were able to give Joe a quick pat and stroke. Throughout the day there were also demos and talks about harnessing working horses and the chance to groom the donkeys. 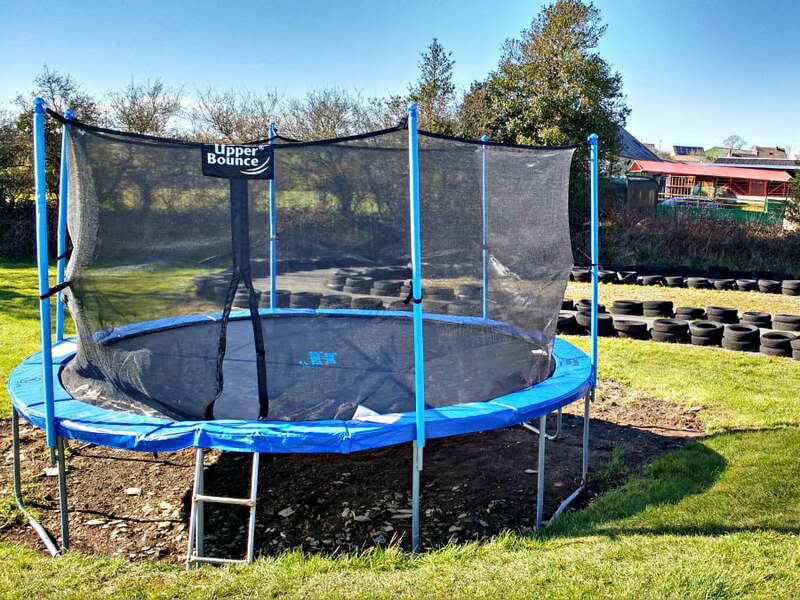 There is also a trampoline, go karting ring and a fantastic playground next to a krazy golf course. Bird of Prey Demonstrations take place on a Tuesday and Thursday. Is Dyfed Shire Horse Farm Baby and Toddler Friendly? Yes definitely. 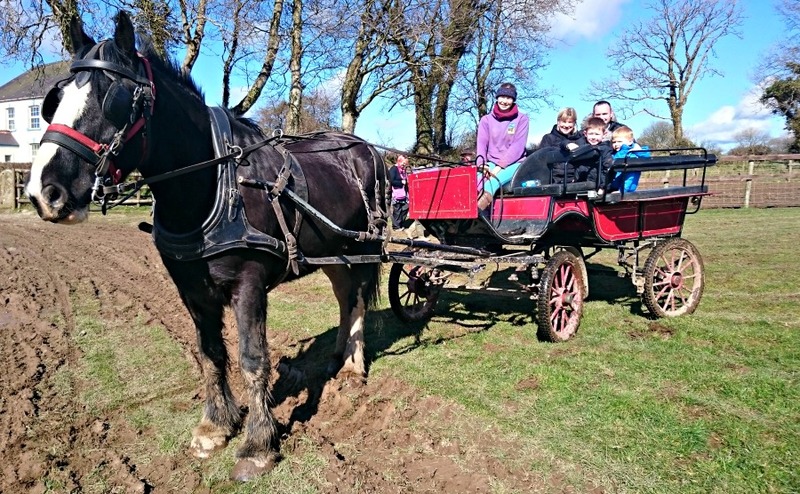 There are loads of opportunities to pat, stroke and get close to the horses, as well as tractor rides and horse and cart rides. 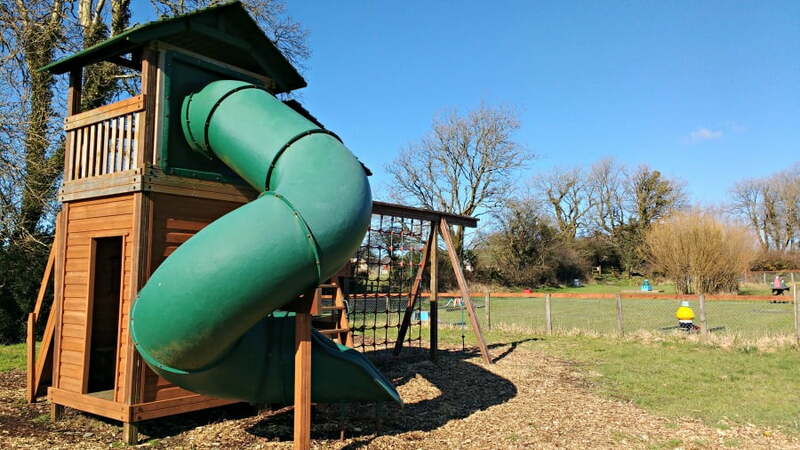 The playground is fantastic, plus the extra activities such as the indoor soft play, animal feeding, talks and Birds of Prey demos make it a great day out. At just £5.95 for a child (under 2s are free), it is really good value too. Tickets can be purchased online beforehand. There is a Café onsite. There are outdoor picnic tables too. Bring wellies – the farm can get muddy! The sat nav postcode takes you to a hauliers next door to the farm, so look out for the brown signs for the farm and the flag outside. Sincere thanks to Dyfed Shire Horse Farm for our tickets.